Jennifer Prost - Publicity - Joelle Delbourgo Associates, Inc.
Jennifer Prost, a book publicist with over 20 years’ experience, works with many agency clients on crafting innovative and far-reaching campaigns. Jennifer opened the doors of Jennifer Prost Public Relations in 1998. Before that she was Director of Publicity at Addison Wesley’s General Books and Summit Books (a division of Simon & Schuster), and Associate Publicity Director at Farrar, Straus and Giroux. She has planned and executed bestselling publicity campaigns, and is dedicated to working hand in hand with authors and publishers to maximize media exposure and sell books. 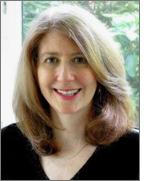 Known for her diversity, Jennifer is as comfortable promoting current affairs titles as she is parenting books, narrative nonfiction, business books, memoirs, fiction, and more. Authors Jennifer has worked with include Scott Turow, Tom Wolfe, Hunter Thompson, Warren Bennis, Harold Kushner, T. Berry Brazelton, Susan Love, Brad Gilbert, and Missy Chase Lapine (AKA The Sneaky Chef). Her clients include Simon & Schuster, University of California Press, Putnam, Portfolio, HarperCollins, Perseus, Johns Hopkins University Press, Running Press, and many more. Reliable, responsive, and straightforward, Jennifer will find media opportunities that others have overlooked. She has been nominated for the LMP Award and served on the Board of Directors of the Publishers’ Publicity Association.